naturestore87 has no other items for sale. 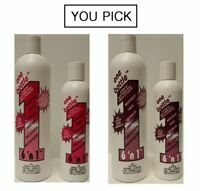 One Bottle 6'n1 Hair Moisturizing Lotion (Normal, Extra Dry) - YOU PICK !! La-Brasiliana Dieci Plus All-in-One Intensive Hair Mask, 8.44 fl.oz.